If you are specifically looking for a river rock, the best place to look is a river bed. You can find rocks that have similar qualities at creeks, lakes, and on beaches. 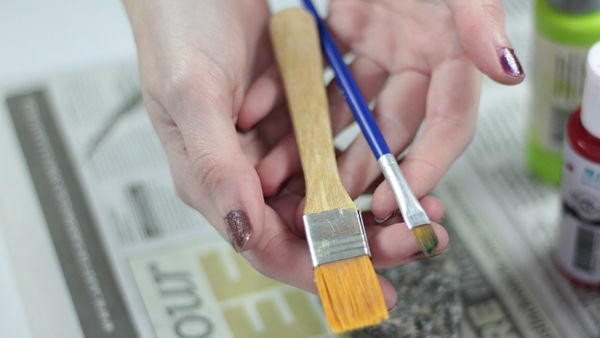 You can choose any rock that appeals to you, but rocks that are smooth are ideal for painting. Weathered rocks that that have been in the water for a long time are great for painting because they have tumbled, which has left them smooth and rounded. You can’t take rocks from state and national parks. Be careful when you are searching for rocks. Do not get too close to the water unless you are sure that you will be safe or have someone watching you. Make sure that no dirt is stuck to it, and it is not flaking off in any place. 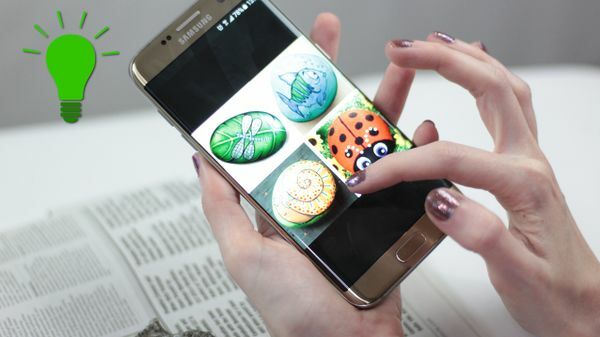 To clean the rock, put it in warm, soapy water and scrub it with a toothbrush. Then rinse it and pat it dry with a towel. For tough spots use 100 grit sandpaper, followed by 150 then finally 220 grit sandpaper. Choose any design that you desire. You can make the entire rock resemble something, like an animal, or paint a (very) small scene on the rock. Some options for animals are a cat, dog, fish, or owl. For a scene, you could paint a house or tree branch with a bird sitting on it. 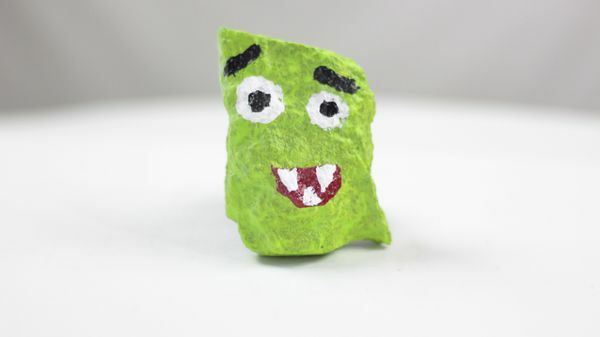 If the rock is big enough, you can paint an inspirational word, like “believe,” or “hope.” You can also paint monsters on the rock, like Frankenstein’s monster, to put out during Halloween. Once the rock is clean, use a pencil to sketch the design on the rock. You can start with paper first if that it helps you lay out your idea better than going straight to the rock. Sketching your idea on the rock will help you paint the design with better accuracy. H grade pencils are great to use for light sketching with clean lines. Use the pencil lightly so that it doesn’t show through lighter paint. Use acrylic paints from a tube, such as Liquitex, or a paint made for outdoor use such as Plaid paint. An acrylic patio paint, however, is ideal. It Is ideal because the paint is made to handle porous surfaces, like rocks, and weather the outside elements. A regular acrylic will work if you are planning to keep the rock inside, though. The paint has a bird house shape on the top to indicate that the paint is outdoor safe. Make sure you have a palette to mix paint on. If you don't, you can use an old plate, wax paper, or foil folded around a piece of cardboard. The rocks will wear down the brushes as you paint them, especially if it is a hard rock. Get an inexpensive pack of brushes to use that has several sizes in it. This is so that you will have brushes to use for larger areas, then details can be painted with a smaller brush. If you want to use a specific type of brush, buy acrylic semi stiff brushes. A common problem is wanting to start on the details and then having to paint around it. First, paint the larger parts, like the base color or colors. When large areas are finished, let them dry before trying to paint next to or on top of them. It is your choice if you paint one or both sides of the rock. If you paint both sides, allow at least a few hours to one day for the paint to dry on the first side before painting the second side. Layer colors, add texture, and paint the small details. You can also do this with a Sharpie or other permanent markers. This is also the time to go over small mistakes you may have made. Wait until the paint is dry to layer colors. Don’t use dark colors on top of dark colors or light colors on top of light colors. Layer colors that have enough contrast so that the second layer won’t cancel out the first layer. You can use a sponge to add texture that looks like foliage. 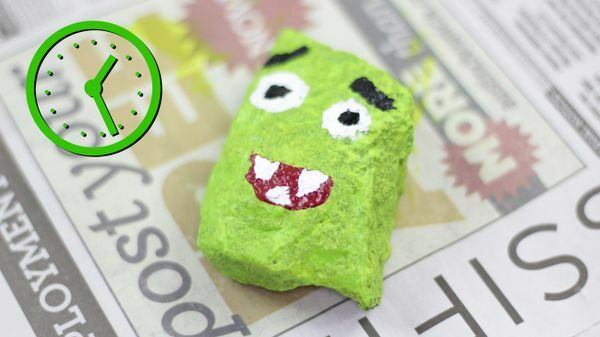 Tear up a kitchen sponge, dab it into the paint, and sponge it into the rock. To correct mistakes, you can paint a solid color on top of the mistake until it is not noticeable, or turn the mistake into something else. For example, you can paint over a bird in the “sky” and make it look like a cloud. Put it somewhere safe to dry where it won’t be touched or moved. Once you have painted everything, allow it to dry for at least several hours or one day. Check the rock when you think it is ready to make sure every part of it has dried. You can sign your name and date to remember when you painted the rock. This is especially good to do with children. 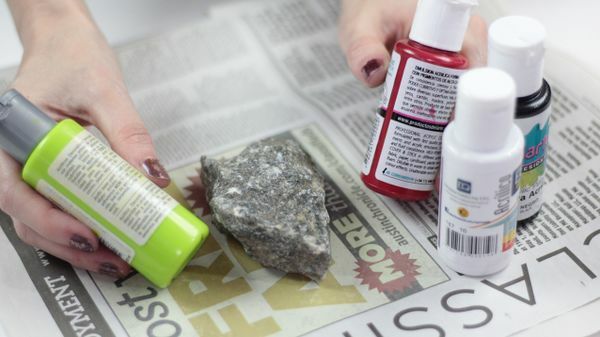 Use a sharpie or other permanent marker so that it won’t rub off and will work on the rock. When the rock has had at least a day to dry, spray it with a clear urethane finish. This will prevent the paint from cracking and peeling. Do this outdoors or in a well ventilated area so you do not breathe the vapors. This should be done by an adult or older child under adult supervision. You can either put the rock out for show, or put it to use. You can set it out on a tray, or put it on a windowsill. 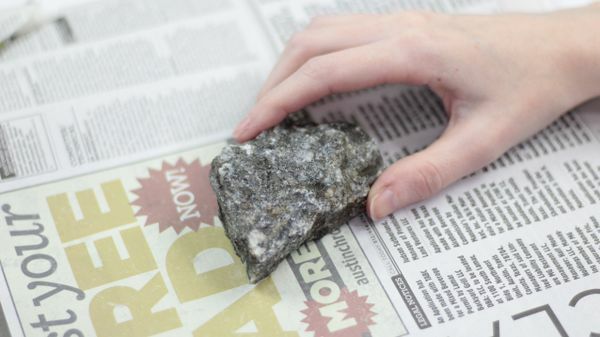 You can use it as a paper weight, or if the rock is big enough, use it as a stepping stone in a garden. 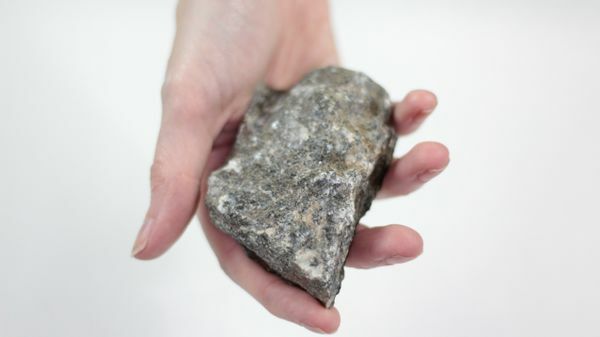 The rock can also be a gift or token to give to a friend.